*This episode contains discussion of infant death. Listener discretion advised* Dr. Bright gets a visit from her oldest Atypical friend. Visit luminary.link/archives. Dr. Bright finally has a reason to use her fire extinguisher. Written and sound designed by Mischa Stanton. Performed by Julia Morizawa and Sammi Lappin. Lauren Shippen, Briggon Snow, Jordan Cope, and Nathan Stanz are in a new actual-play D&D podcast. Go to https://twitter.com/arcspod to listen now and follow @atypicalartists on twitter! Dr. Bright gets a visit from an old patient with an unreliable ability. Written by Caitlin Schneiderhan. Performed by Julia Morizawa and Sean T. Krishnan. Hi everyone, this is Lauren Shippen, the creator and writer of The Bright Sessions and also the voice of Sam, as you can probably tell. As you know, we’re on our mid-season hiatus and will be back with Episode 49 in one month. But I wanted to drop in here to talk about the broader future of the show. Back in the summer of 2015, I sent a Facebook message to a couple of friends and asked if they’d be willing to lend their voices to a little project I was working on. 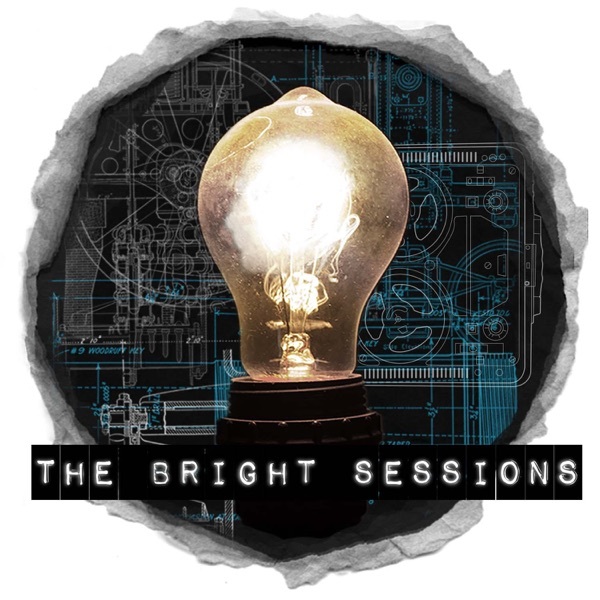 Nearly 3 years and over 18 hours of content later, The Bright Sessions has taken on a life of its own, far exceeding any of our expectations for what started as a passion project made in my bedroom. We’ve really, really loved making this show but, as with all things, it must eventually come to an end. When we come back in March, we'll be releasing eight more episodes, concluding the season, and the series, with Episode 56. The arc of the story we’ve been telling since Episode 1 is coming to its natural close and I want these 56 episodes to stand on their own as a complete series that people can discover and listen to for years to come. All that said, I’m not done with these characters yet. They have so much more to do and say and I know my actors aren’t done with them either. So, even though the original run of The Bright Sessions is coming a close, this feed isn’t going quiet after June 13th. Thanks to our incredible Patreon supporters, we’ll be doing nine bonus therapy episodes that explore Dr. Bright’s other patients. These will start in July, with one being released every single month for nine months. For our patrons, there will be a bonus to the bonus - a special 10th therapy session that you definitely don’t want to miss. To become a patron, go to <a href= "http://patreon.com/thebright">patreon.com/thebright</a>sessions. Making The Bright Sessions has only ever been possible because of our strange and unusual family on Patreon and we’ll need that support more than ever moving forward. Not only do we need to fund the production of these ten bonus episodes, but we also have two mini series spin-offs coming in 2019 and 2020 that are going to be bigger and more ambitious than anything we’ve ever done before. These series will be limited run, but they will take place post-Season 4 and involve many familiar faces as well as a whole slew of new characters. The first spin-off will be out in March of 2019 - I can’t tell you too much about it because the summary alone spoils the end of Season 4, but I think you guys will like it. The second spin-off will come out fall of 2020 and will involve a fan favorite character - and a favorite character of mine - Caleb, in an entirely new phase of his life. These series will expand the story and the universe of The Bright Sessions for listeners who have been with us since the start, but also stand on their own for people just dropping in to our atypical world. You also may have heard some news about Bright Sessions books - the rumors are true! I’m writing three YA novels that focus on different characters. The first is about Caleb and Adam, the second about Damien, and the third about our newest character, Rose. The first will be out in the summer of 2019. So…yeah. Even though we’re closing a chapter, we have a lot ahead of us. So stay tuned and stay subscribed to this feed - all future shows and any important announcements will be right here. Also make sure to follow us on twitter @brightpodcast for more frequent updates. Before I get back to editing our 50th episode - which we just recorded this past weekend and which is going to be really freakin’ cool, I can’t wait for you guys to hear it - I just want to take a moment to say thank you. I cannot begin to express how grateful I am - how grateful we all are - for the emails, the fanart, the theorizing, the all-caps tweets, the meet-ups, and the personal stories and the love you’ve shared with us these past two and half years. This story means a lot to us and I can’t tell you how much joy we get from the fact that it means a lot to you as well. From the bottom of our hearts, thank you. So: keep listening and, as always, stay strange. Season 4, Episode 2 - *Please be advised this episode contains mention of suicide, kidnapping, and emotional abuse* Two months of logs from Subject #E-307. Season 3, Episode 19 - *Please be advised this episode contains the aftermath of violence, discussions of self harm, and intense psychological distress* Audio from the safe house on Friday, November 11th. Season 3, Episode 17 - *Please be advised that this episode contains mentions of suicide* Phone conversations from November 10th through November 11th. Season 3, Episode 11 - *Please be advised that this episode contains descriptions of violence and war, and deals with some of the trauma that results from these actions. * My first full session with Frank Sawyer (non-atypical/atypical-adjacent). Season 1, Episode 7 - Session 4 with a time traveler who has yet to gain control of her ability. I have only observed her ability in action once, but I hope to change that.